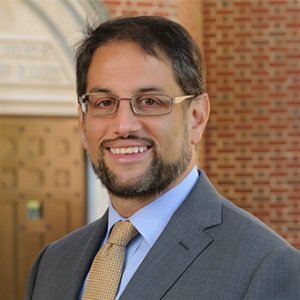 Professor Noah Sachs is Professor of Law and Director, Robert R. Merhige, Jr. Center for Environmental Studies at the University of Richmond School of Law. Professor Sachs is a nationally known environmental law expert, whose scholarship focuses on climate change, toxic substance and hazardous waste regulation, and international environmental law. His work has appeared in the UCLA Law Review, Vanderbilt Law Review, and University of Illinois Law Review, among other venues, and his co-authored text, Regulation of Toxic Substances and Hazardous Waste, is the leading casebook on toxic substances regulation. Professor Sachs was awarded the University of Richmond’s Distinguished Educator award in 2013, the highest recognition for teaching and scholarship on the faculty. He was also chosen as the University of Richmond’s Outstanding Faculty nominee in the rising star category to the Virginia State Council of Higher Education in 2009. Professor Sachs was awarded a Fulbright grant to conduct research in India in the spring of 2014, where he focused on emerging environmental markets in India and the challenges of implementing market-oriented environmental reforms in developing countries.